The Illinois Legislature recently adopted a law sponsored by State Representative Sara Feigenholtz of Chicago aimed at increasing home care services for senior citizens who might otherwise needlessly be placed in residential nursing homes. Illinois's Community Care Program (CCP) currently provides home-based services to approximately 85,000 elderly Illinois residents. According to the Lincoln Park Patch, the reforms focus on "implementing inter-agency data sharing, shifting to a managed care model for some seniors, applying for enhanced federal matching funds, improving Medicaid enrollment and processing, freezing rates at exiting levels, and implementing more stringent personnel policies." The primary purpose of the new law is to provide the most cost-effective services to the greatest number of Illinois's elderly residents as possible. Representative Feigenholtz explained, "Home care for senior citizens is one of the most cost-effective programs in the state of Illinois . . . . [T]he state can provide CCP for four seniors at the same cost of caring for one person in a nursing home." 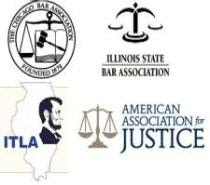 Illinois Nursing Home Abuse and Neglect Attorney Michael Keating supports the Illinois Legislature's efforts to avoid placing senior citizens into residential nursing homes before such intensive care is reasonably required. Home health care has the obvious benefit of allowing individuals who are able to participate in their own care to do so in the comfort and familiarity of their own home, while also preventing individuals who require nursing home care from dealing with the burdens of overcrowding. As a nursing home's population increases, the quality of care provided to each individual resident almost inevitably decreases. In extreme cases, overcrowding and inadequate staffing can result in the neglect, or even abuse, of nursing home residents. Therefore, increasing the availability of home health care is not only cost effective but also increases the quality of care provided to elderly individuals living independently and in nursing homes. Could Medicaid Funding Cuts Lead to More Cases of Nursing Home Neglect and Abuse? Recent Medicaid cuts affecting nursing home recipients have restricted access to dental, vision, and podiatry care. For instance, routine dental services are generally no longer covered by Medicaid. Instead, Medicaid recipients usually only receive emergency dental services. Without Medicaid funding, nursing homes must attempt to provide these vital services to their residents privately, rely on financial help from residents' family members, or neglect their residents' medical needs. This raises a troubling issue: If resources at nursing homes are even further depleted, could this lead to even more cases of nursing home abuse and neglect? A group in Chicago hopes that question doesn't have to be answered. An estimated 300 nursing home supporters gathered at the Thompson Center to protest existing and potential future cuts in Medicaid funding affecting a number of elderly nursing home residents. Pam Comstock, the executive director of the Health Care Council of Illinois who explained, "Our seniors are elderly and sick and they can't get in their cars and go to Springfield or come down to [the] Thompson Center to talk to anybody, so that's why we're joining our voices to give them a voice." Staff members of several Chicago area nursing homes attended the protest. In addition, protesters asserted that the state has failed to properly reimburse Illinois nursing homes for Medicaid services already provided to nursing home residents. Demonstrators estimated that the state owes Illinois nursing homes approximately $400 million for previously provided Medicaid services, while the state estimates that this amount is closer to $210 million. Regardless of the specific amount owed, it is clear that Illinois nursing home are not receiving the funding they are owed for services their residents are entitled to under Medicaid coverage. This combination of recent Medicaid funding cuts, potential future Medicaid funding cuts, and significant outstanding reimbursements renders it unlikely that Medicaid recipients living in nursing homes are receiving proper and adequate care. In addition, the inevitable financial strain on nursing homes created by these circumstances likely affects the quality of care provided to all nursing home residents, as nursing homes attempt to budget around Medicaid's shortcomings. In the most extreme of circumstances, underfunded nursing home care may result in staffing deficits which lead to the neglect, or even abuse, of nursing home residents. If you have a question about this post, or any other issue related to Illinois personal injury law, please contact Illinois Nursing Home Abuse and Neglect Attorney Mike Keating. You can contact Mike by calling 312-208-7702 or emailing MKeating@KeatingLegal.com, 24 hours a day, 7 days a week. All phone calls and emails are returned promptly. All initial consultations are free and confidential.